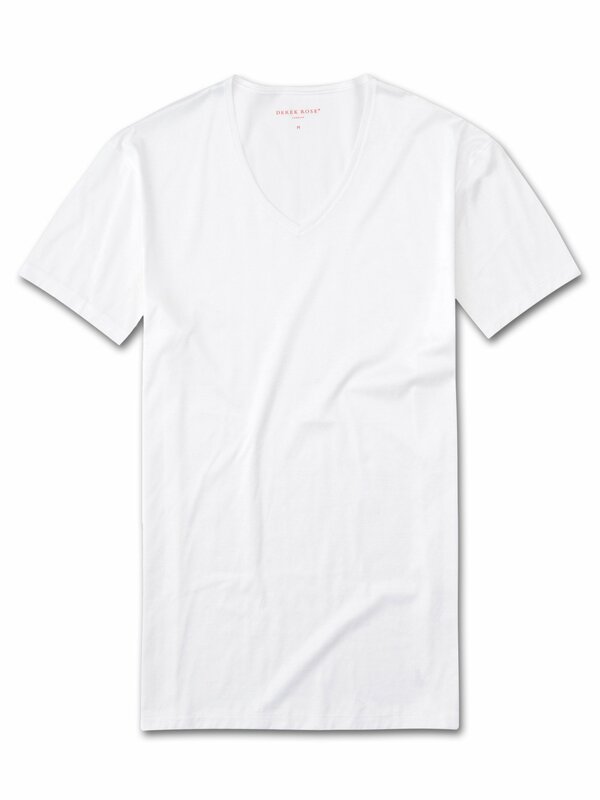 The Lewis White Double Mercerised Cotton V-Neck Tee is reliably comfortable and understated. We've kept it simple with a straightforward, close-fitting silhouette and chosen a mid-height V-neck that finishes just below the collarbone to create a timelessly suave tee. Made from ultra-soft pure cotton, this short-sleeved tee is finished with soft, narrow neck binding and manual welt hems for minimalist hemlines and softer body contact. For an artful take on the classic V-neck, this tee has a longer-length body, finishing at the top of the thigh for the perfect fit. The ultimate closet staple, the Lewis V-neck is stitched with superfine threads to ensure minimal skin irritation.